There’s nail art, then there’s actual works of art on a fingernail. 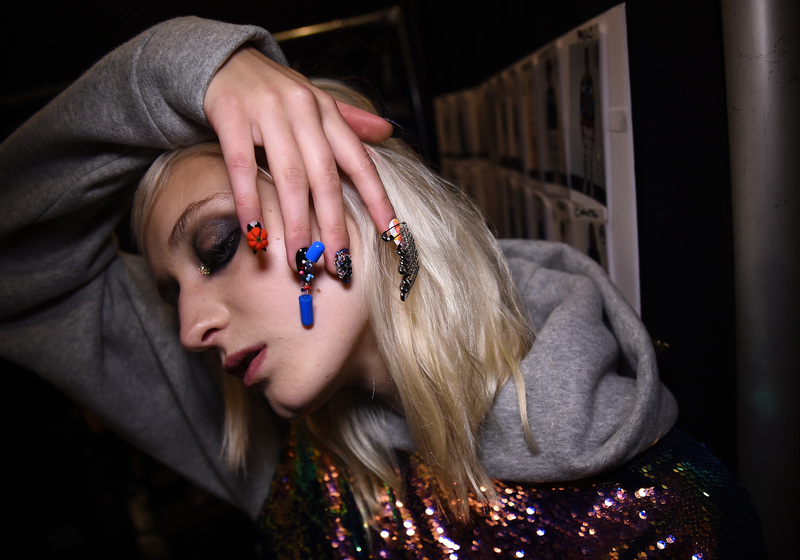 Libertine’s Spring 2018 runway nails, created by the pros at CND, fall into the latter category. 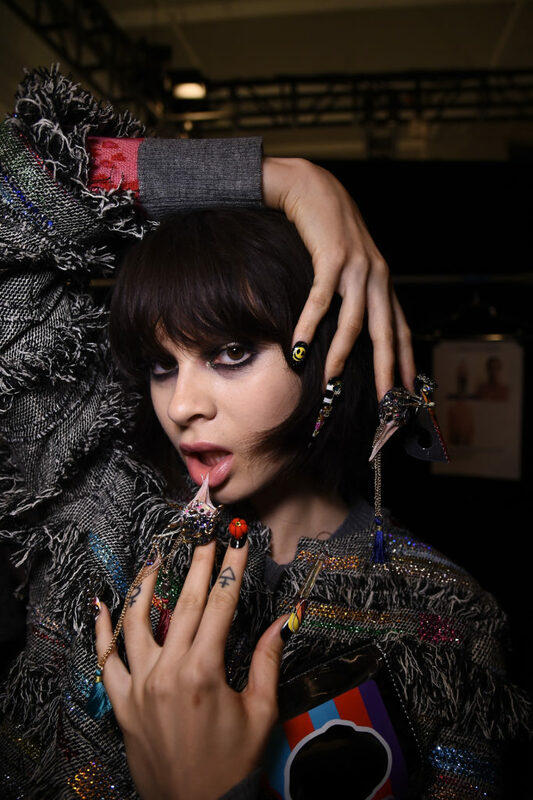 Over the years, we’ve seen some pretty intense nails pop up at New York Fashion Week. Those all pale in comparison to these wild and one-of-a-kind designs by CND’s pioneering nail art team. A true fusion of punk and couture, these 3-D designs perfectly tell the “story of an artistic uprising and haute hedonism” that went down the runway, according to a press release from the brand. And in short, they were nothing short of ~dayum~ good. Clad with skulls, safety pinks, spirals, smiley faces, barbed wires, anchors and, yes, Swarovski crystals, these nail art designs are worthy of some sort of museum display. No nail looked exactly the same either, meaning that this incredible artistic display took an equally incredible amount of time to pull off, but it was worth it! 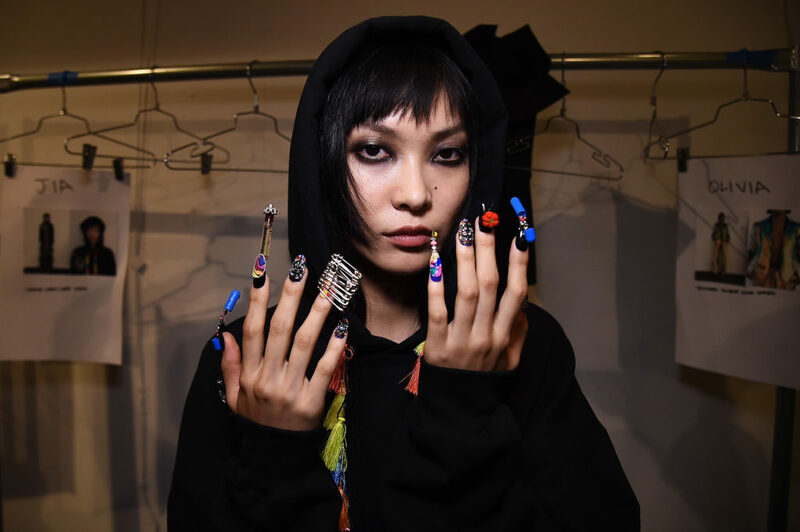 Considering the depth of these punk-rock nails’ intricate designs, it comes as no surprise that it took a team of skilled nail artists to pull off this feat. Guided by CND’s creative director and co-founder, Jan Arnold, creative lead, Heather Reynosa, in conjunction with Libertine co-founder Johnson Hartig, the team certainly went above and beyond to sculpt these daring designs. Just look at those Swarovski crystal skull and cross bones, complete with jeweled safety pins! 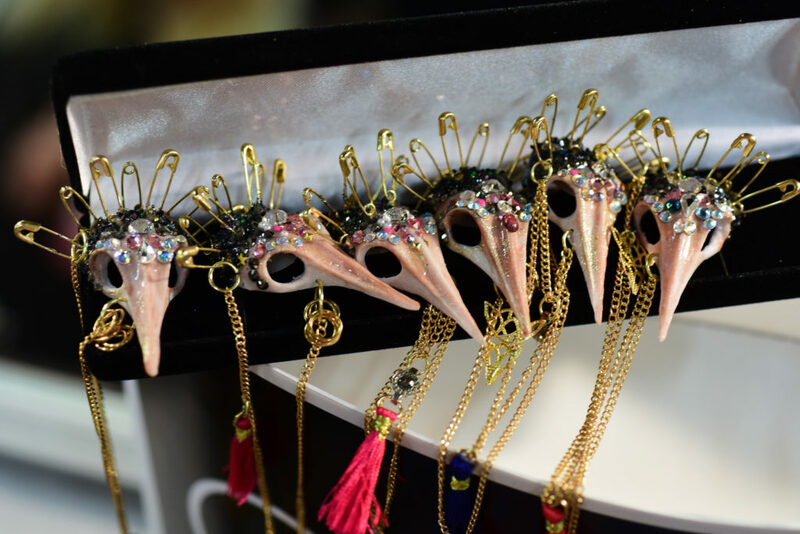 And those faux bird skull nails. MAGIC. Now are these designs something we’d wear everyday on our own? Probably not, which is a good thing, because we *definitely* couldn’t pull this off at home. Still, we totally wish we could lead the rockstar lifestyle that would make these punk-perfect nails a daily necessity! 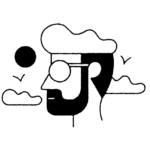 “Over the course of seven seasons working with Johnson, our creative spirits have become so tightly entwined that we can’t help but make magic on the runway,” CND’s Reynosa said of working with the Libertine. "Taking our artistry to a hedonistic place this season was a supremely fun challenge, in that it inspired these incredible, indulgent designs which paid tribute not only to the spirit of a 'libertine' in the most literal sense of the word, but also to Libertine's roots as a design house." Now excuse us while we sit here and gawk at these nails for the next several hours.